George Bobo works with lenders, developers and owners in sophisticated commercial transactions. His practice includes representation of commercial conduit lenders securitized by shopping centers, apartments, warehouse and industrial properties in several states. He also handles general commercial real estate transactional and secured lending including representation of institutional lenders in land acquisition, land development, commercial and residential construction, commercial permanent financing, and asset based lending for trade lines of credit. In addition, he assists owners and developers in acquisitions, joint ventures, and tax free exchanges, leasing, formation of property owners associations, representation of financial institutions in work-out, restructures and foreclosures of troubled loans, bankruptcy and litigation. Prior to joining Weissman, George was an attorney with Dillard & Galloway, LLC. An AV-rated attorney, George is the former general counsel for savings and loan association including regulatory representation. 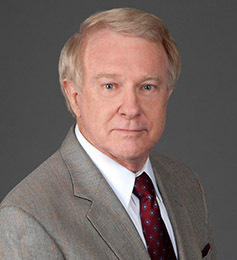 He is a past president of the Real Estate Section of the Atlanta Bar Association, and has been an instructor for the National Business Institute teaching Keys to Successful Real Estate Transactions in Georgia. He is a member of the State Bar of Georgia, the Georgia Supreme Court and the Supreme Court of the United States of America.